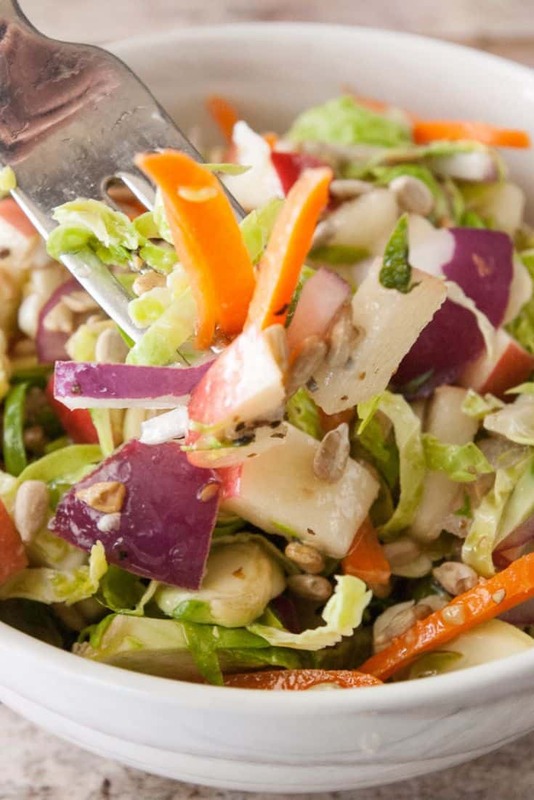 Give your meal a little pop with this brussel sprout slaw! Easy to make, but hard to stop eating! This make ahead salad compliments beef, chicken or fish! 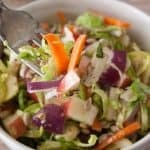 Brussel Sprout Slaw! 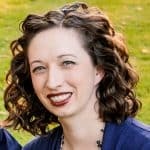 Did you cringe at the words brussel sprout? Brussel sprouts get such a bad rap! I’m not gonna lie, when cooked wrong they are absolutely disgusting. When done correctly they are really, really, delicious! Actually, they make my favorite veggies list. One of my new year’s resolutions is this year is to expand the types of veggie sides I serve and to think more outside the box. We are kind of in a eating the same vegetables over and over again rut. I saw a bag of brussel sprouts at the store and decided to see what I could come up with. I wanted something more of a fresh salad then a cooked vegetable. This brussel sprout slaw was a hit! Read on and I’ll tell you more about it! 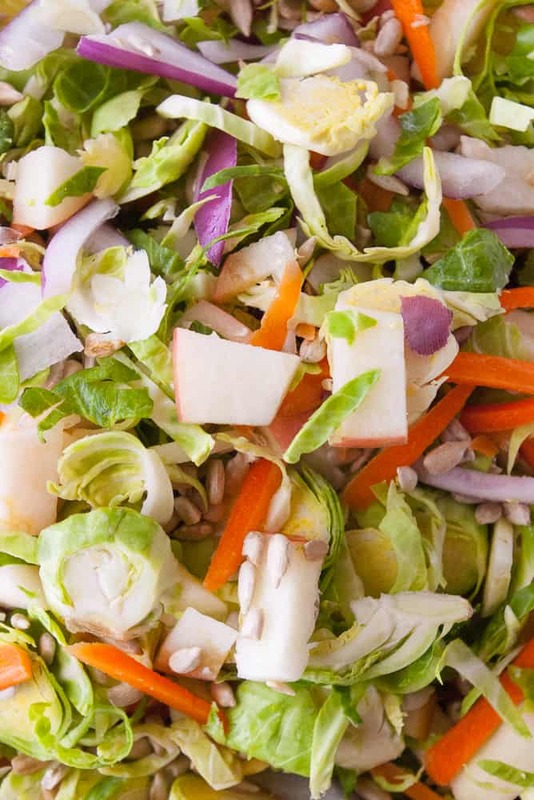 This brussel sprout slaw is so, so easy to prepare. It does need to sit for at least 12 hours or overnight for the flavors to properly blend and the vinaigrette to soak into the brussel sprouts so keep that in mind. I used my food processor to slice the brussel sprouts and red onions. I did slice and dice the apple by hand though. I love the way the apple peel adds an extra pop of color! Toss all the sliced and diced ingredients and sunflower kernels together. Don’t worry about the apples turning brown. The vinegar in the vinaigrette will keep them from browning. 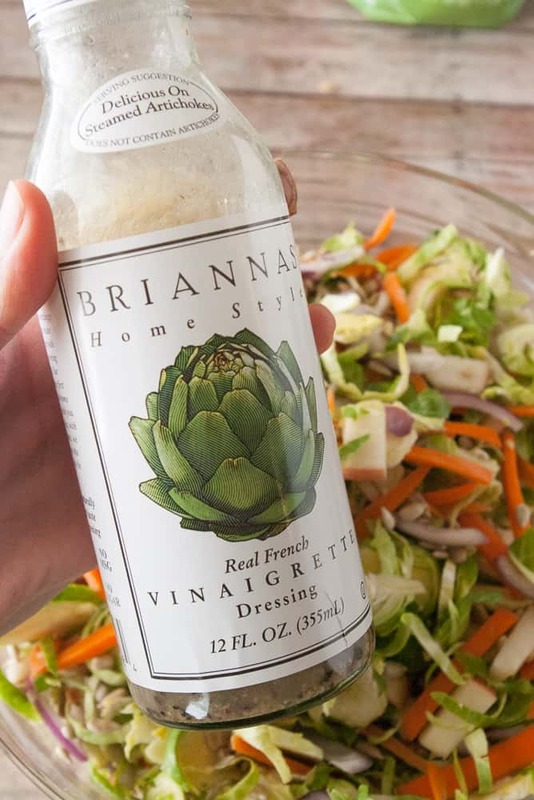 Coat the brussel sprout slaw generously with Brianna’s real french vinaigrette. I used about 1/2 the bottle. Cover and refrigerate for at least 12 hours or overnight. Add more vinaigrette before serving. Slice, diced and prepare your ingredients. Coat generously with the french vinaigrette. I used about half the bottle. Cover and refrigerate 12 hours or overnight. This allows the flavors to absorb and blend. The vinaigrette will keep the apples from browning. Add more dressing and toss before serving. This sounds amazing…can’t wait to try it!! It really is so good! You’ll love it!